Exciting list for 2016! Returning favorites, and a few new varieties. Plants available mid-April on through end of May while they last. Fresh Tomatoes begin End of June, depending on the weather and God. 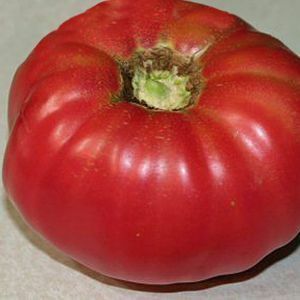 The original Abraham Lincoln tomato has beautiful dark-red fruits that are sweet, solid and meaty. Fruits are smooth and free from cracks. They ripen all the way through (no green shoulders) despite their larger size. Sturdy plants frequently have bronzy-green foliage. 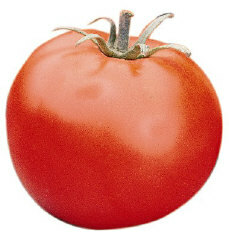 This a sweet juicy tomato with a piquant bite. 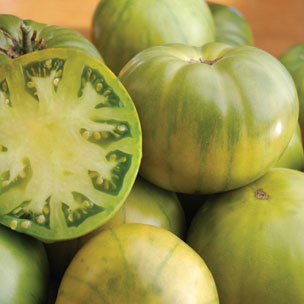 The heirloom is a large beefsteak type tomato that is a pale green color with a hint of yellow striping. 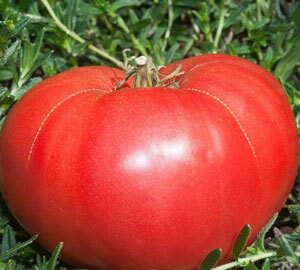 The large tomato often weighs one pound or more. Aunt Ruby’s has the wetness of a melon and can give a deep flavor explosion. 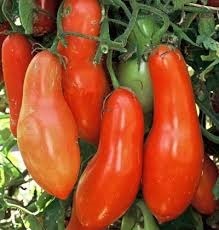 It is generally used in salads, but is also a wonderful tomato to fry. Widely adapted, AAS Award winner. Crack resistant, heavy yield of 7 oz fruits. Great taste in a mid size tomato. Thought to have been passed down from Native Americans of the Cherokee tribe, this heirloom tomato variety consistently ranks very high in taste tests. 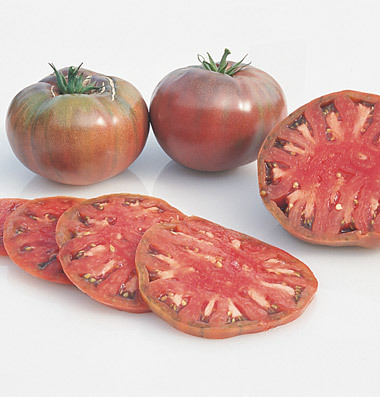 Slice Cherokee Purple tomato for rich, dark color and unmatched sweet, rich taste on sandwiches or in salads. 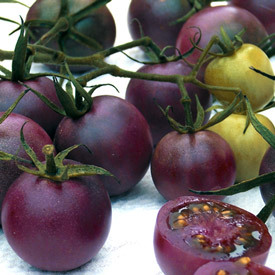 The tomato is a beautiful dusky pink with a deep, rich-red interior. Wonderful cherry variety with deep dark flesh. Excellant producer, and deep rich taste. One of our most popular heirlooms. Huge, sweet fruits average 1 to 2 lbs. and have weighed in at nearly 5 lbs. Dark pink fruits have smooth blossom ends and a low-acid, mild flavor, so sweet! Solid meat and size means one slice per sandwich! Unusual pear shape and deep burgundy color inside. Good yields of 4-6 oz. fruit with excellent, rich flavor. Harvest when shoulders are still green for best taste. Sweet plum cluster - All-America Selections winner. 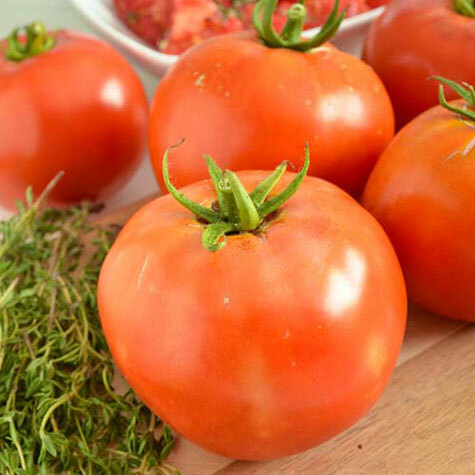 Delicious, rich tomato taste for salads, great salsa, and fresh pasta sauce. Good crack resistance, vine storage, and shelf life. 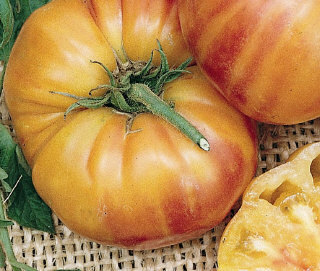 Recently named one of the best heirloom tomatoes, Kellogg's Breakfast is finally getting the recognition it deserves. Absolutely unique, both for its size and for its bold golden skin and juice, exactly the color of fresh-squeezed orange juice! 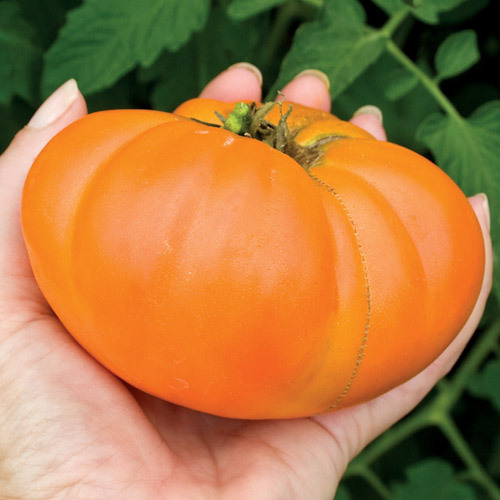 This giant sets fruit weighing anywhere from 16 to 32 ounces. Slightly flattened, the globes are massive, hanging over the edges of sandwich bread. A good mix of solids and gels makes for a delicious bite, and you'll need many, many bites to finish just one Kellogg's Breakfast! Lemon Boy is known for its mildly sweet, low-acid flavor. Lemon Boys are good for slicing, sandwiches, salads, cooking with pasta, and as a bisque. 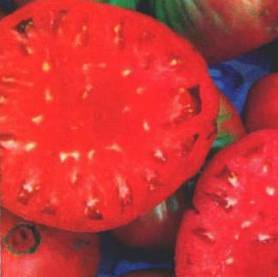 They make an especially striking salsa when combined with red tomatoes. All-America Selections winner. 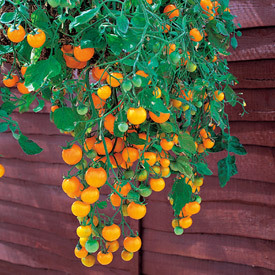 Compact plants are ideal for containers, baskets and small gardens. 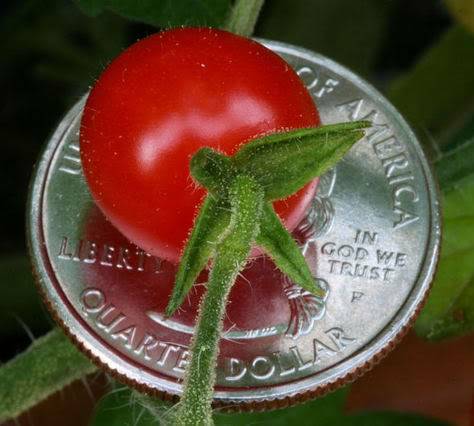 This cherry tomato with its compact dwarf habit offers a prolonged, nonstop harvest of delectable round 1'' fruits-just right for snacks, dips and salads. The plants of this AAS 2011 winner grow just 16-20'' tall and 20'' wide, prime candidates for containers, baskets and sunbathing on the patio. Lizzano's resistance to late blight allows it to keep turning out oodles of cherries when other tomatoes have retired for the season. Old-time, south-of-the-border favorite that continues to prove its value as a salad tomato. Tiny, red, cherry-type fruits weigh down trusses with prolific yields throughout an extended growing season. Mild, Meaty 4 Pounders Puts out extremely heavy yields of big, low-acid pink fruits. Few seeds, excellent flavor. Drought-tolerant. Bigger yields, better disease resistance and improved flavor over the old favorite, Early Girl, are just some of the reasons to give New Girl a try. Huge crops of perfect 4 to 6 oz. fruit ripen up early and offer rich, sweet, juicy flavor. Pineapple is a beefsteak type with huge yellow-gold fruit often striped in red and boasting fewer seeds and more solids, for an extra bite or two in every Tomato. 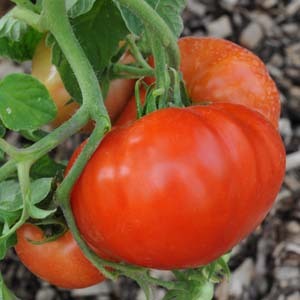 Very high yielding, this colossal Tomato is as fascinating to look at as it is delicious to eat. It has a strong Tomato aroma and fruity aftertaste, for a 'real tomato' experience you just can't find with today's less robust, milder-tasting hybrids! Enjoy this memento of the past, recreated in your own garden. 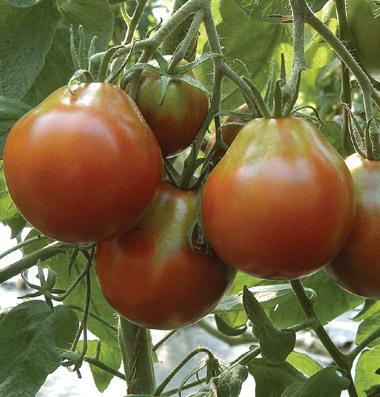 Compact plants produce beautiful 8-12 ounce fruit with a very sweet, rich, dark tomato flavor. A quality paste variety with very thick flesh. A popular old favorite with good yields. 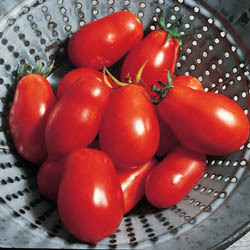 This delectable variety holds its flavor in cooking and is renowned for producing the best ketchup, pastes and sauces! 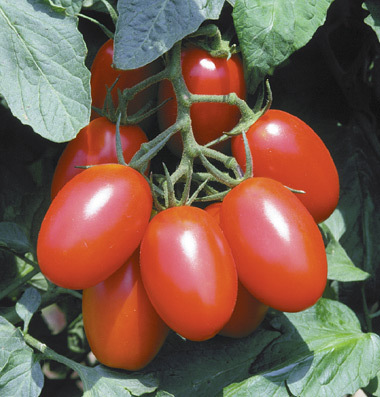 High-yielding plants produce large, 6" red, juicy fruits that are also suitable for canning. 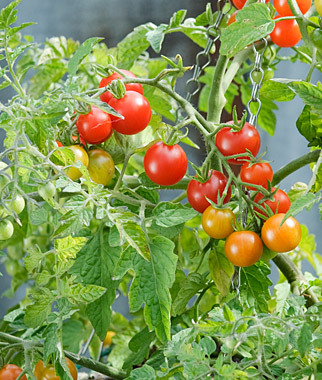 When the tomatoes turn bright red, you'll know it's time to harvest. 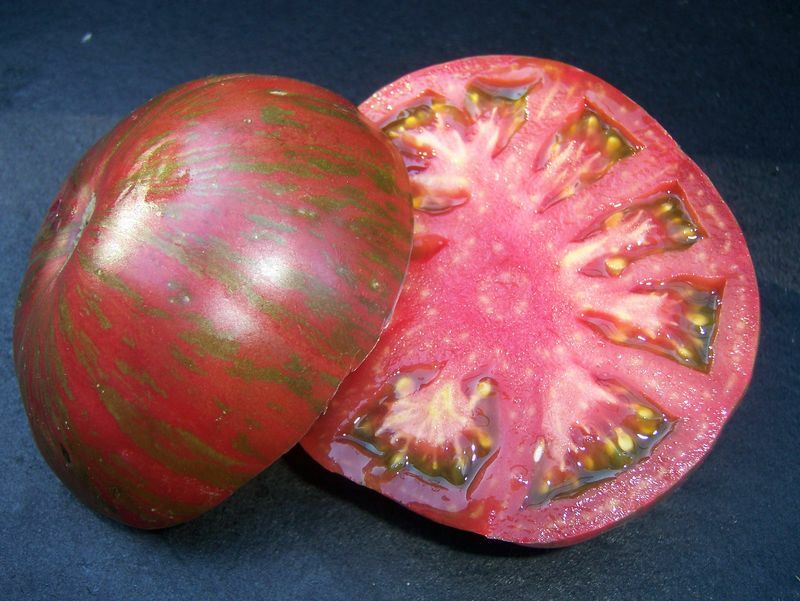 Poland sends us this heirloom variety, memorable for its low acid and intensely sweet flavor. Dark pink fruits, flattened in shape, weigh about a pound and are packed with firm flesh inside thin skins. 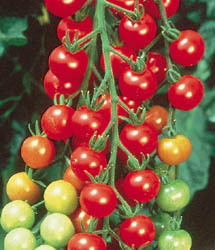 Scarlet, cherry-sized tomatoes produce long clusters right up to frost. 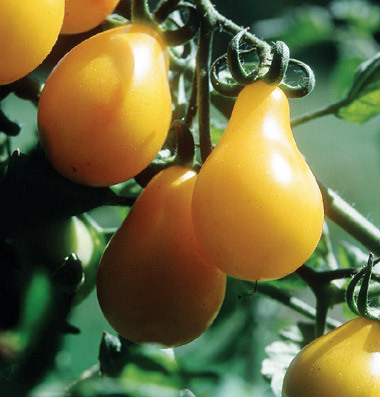 Cherry tomatoes bursting with sugary flavor. The scarlet, cherry-sized fruits are produced in long pendulous clusters right up to frost. Grow on stakes or a fence. HEIRLOOM. Enormous numbers of yellow bite-sized fruits. Very early. 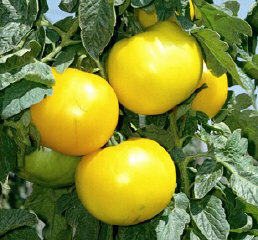 This extremely old variety makes a vigorous plant that bears enormous numbers of bright yellow, bite-sized fruit. The flavor is deliciously tangy. Perfect for summer party hors d'oeuvres. 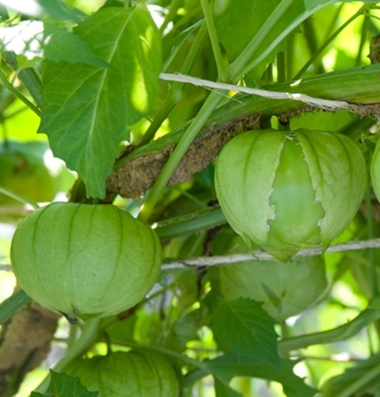 Early-maturing, large, flat-round green fruits. Use in salsa or Mexican cooking. Loads of juicy, delicious Tomatoes on every stem! Trailing habit cascades up to two feet from tubs and hanging baskets.